Nine months after Osawatomie State Hospital losts its federal payments, all rooms are back online after revonations. But inspectors have to make two more visits before the 60 beds are cleared for Medicare reimbursements. Nine months after Osawatomie State Hospital lost its federal payments, all rooms are back online after renovations and the state is looking at partnerships to address some of its long-term struggles. 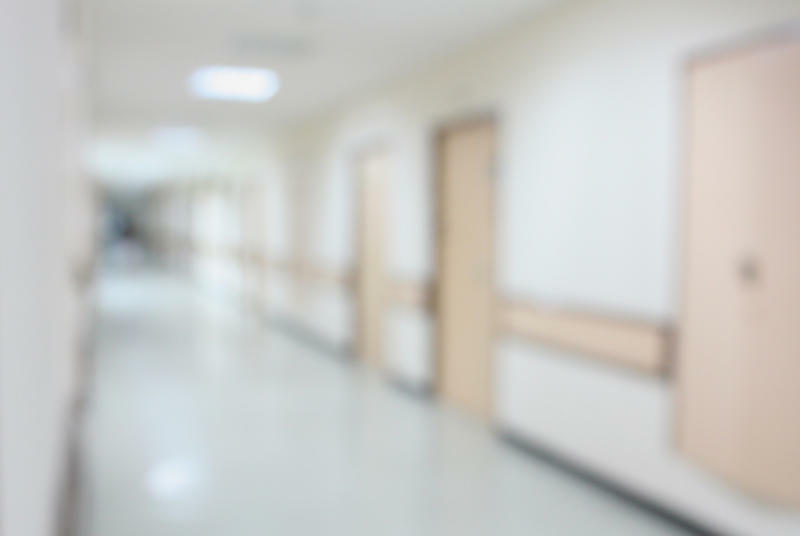 The state hospital — one of two in Kansas for patients with severe mental health issues — has shown progress on several problems that led to the loss of Medicare payments, though it isn’t clear when it could receive federal payments again. Inspectors have to make two separate visits to check renovations before the 60 beds are cleared for payments. In the meantime, the hospital can treat patients in those beds, but the state has to come up with the funds. Inspectors responding to a report that an OSH employee had been sexually assaulted in October 2015 found staffing and security problems they says put patients in danger, which led federal officials to cut payments to the hospital. The decision followed reports of patient overcrowding, overworked staff and problems with the building’s fixtures that inspectors says could allow patients to harm themselves. Tim Keck, secretary of the Kansas Department for Aging and Disability Services, says the hospital is prepared for inspection, but the Centers for Medicare and Medicaid Services hasn’t indicated when the inspectors may come. In the meantime, the hospital, KDADS and other partners are working on improving processes, retaining employees and trying to improve the rest of the mental health system, he says. “We’re trying to get a little closer to excellence every day,” he says. OSH hasn’t run over capacity since KDADS declared admissions limits in mid-2015. 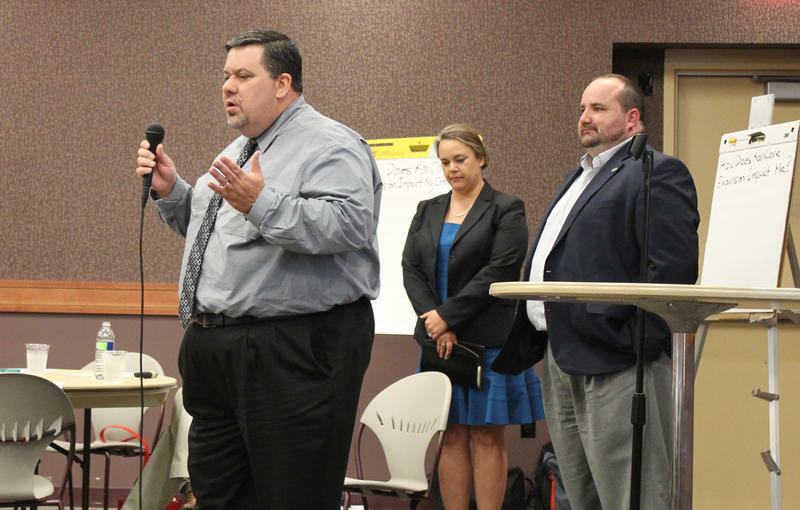 The trade-off, however, is that hospital emergency rooms in eastern Kansas have sometimes had to hold patients deemed a danger to themselves or others for days while waiting for a bed to open at OSH. As of Sept. 26, the average wait time for a space at OSH was 39.8 hours for people admitted in an emergency, says Angela de Rocha, a spokeswoman for KDADS. A pilot program could help open a few beds occupied by people who aren’t believed to be dangerous to themselves or others but who aren’t ready to live independently. Bill Persinger, CEO of Valeo Behavioral Health Care in Topeka, says the community mental health center has an agreement with the state to provide transitional living care for patients who are ready to leave OSH. Bill Persinger, CEO of Valeo Behavioral Health Care in Topeka, says the community mental health center has an agreement with the state to provide transitional living care for patients who are ready to leave OSH. Valeo has four small residential facilities and will take a few former OSH patients at a time as space allows, he says. KDADS identified about 25 people who need transitional housing and Valeo has taken four so far, Persinger says. How many it will take in the future depends on available space, patient conditions and whether the patients want to move there temporarily, he says. KDADS allocated $350,000 toward the pilot program with the goal of reducing the odds that patients will return to the state hospital shortly after being released, de Rocha says. “If it works the way we believe it will work, we will work to establish similar projects,” she says. The idea is that clients can practice living alone in an environment where they feel safe, Persinger says. Most clients probably will stay two to six months, he says. The transitional housing is voluntary and isn’t locked, but clients have access to a staff person who can offer help and monitor for safety, Persinger says. Clients also receive assistance from a therapist and a case manager and can participate in life skills classes like budgeting and managing relationships, he says. “It’s a step down from the hospital,” he says. Demand for psychiatric beds is still strong, Persinger says, so both the client released to transitional housing and the patient replacing him or her at the hospital will benefit. “That’s four more people that need to get (to OSH) and now they can get there,” he says. Keck didn’t comment on other specific partnerships with community organizations, but he says the department is working with the Adult Continuum of Care Committee to examine the mental health system as a whole. That includes efforts to reduce the number of people who need to use the state hospital, he says. “The transition, in my mind, isn’t just going out of the state hospital but also going into the state hospital,” he says. The planned renovations on the two 30-bed units are complete, Keck says, but additional repairs were needed when the roof sprung a leak and condensation built up during the warmer months. Patients are living in the rooms while repairs are finished, he says. The renovations included replacing furniture and other fixtures with round-edged models that couldn’t be used to anchor clothing or other items patients might use for hanging. The rooms and common areas also have tamper-resistant ceilings, so patients can’t access wiring, and heavy furniture that would be difficult to lift. For now, KDADS has elected to only try to recertify 60 beds, though Keck hasn’t ruled out recertifying the other 146 beds. The main differences between the two would be that patients in the uncertified beds would be in rooms that hadn’t been renovated and the federal government wouldn’t pay for their care. A consultant specializing in recertifying hospitals still is visiting monthly to find areas where OSH could improve and “hard wire” process changes that already have started, Keck says. “I don’t expect us to be perfect … but I really want us to achieve excellence,” he says. Keck says he believes the hospital has hired enough staff to satisfy inspectors’ requirements for the two 30-bed units, but more employees will be needed for the other units. The hospital has done well recruiting mental health technicians, though the competition is stiffer for staff with more education, such as registered nurses, he says. “On the certified side, with the 60-bed unit, I’m really confident with where things are,” he says. Efforts to hire more people and reduce the amount of overtime staff worked appeared to be making progress the first few months of the year, but overtime at OSH started to rise again in late April. Staff worked about 1,957 overtime hours, or the equivalent of 24 full-time employees’ work if the hospital hadn’t used overtime, in the two-week period ending Jan. 2. It fell as low 707 hours (nine full-time employees) in the two-week period ending April 9 but rose again to 1,946 hours in the two weeks ending June 4. More recent overtime information isn’t available because the state is reformatting how it counts the hours, de Rocha says. Keck says it wasn’t entirely clear what had caused the overtime increase. But he says a large regional employer had increased pay, possibly drawing away hospital employees. Staff vacancies are down, however, with about 18 percent of registered nurse positions and 4.2 percent of mental health technician positions unfilled as of Oct. 5. The hospital recently began offering a six-week program for its current mental health technicians to become licensed, which Keck hopes will encourage them to keep working at OSH and developing their skills. KDADS and the Kansas Department of Commerce also are working on a partnership to train certified nursing assistants to work at OSH, Keck says. Those who complete the training would start as mental health technicians, but their training would lay the groundwork for them to become a licensed practical nurse or registered nurse later, he says. “We want to develop that career track for people,” he says. The director of one of the state’s largest community mental health centers says the head of the agency that oversees the behavioral health system appears to be making an effort to repair damaged relations with providers. But he says Kansas Department for Aging and Disability Services Secretary Tim Keck has his work cut out for him. 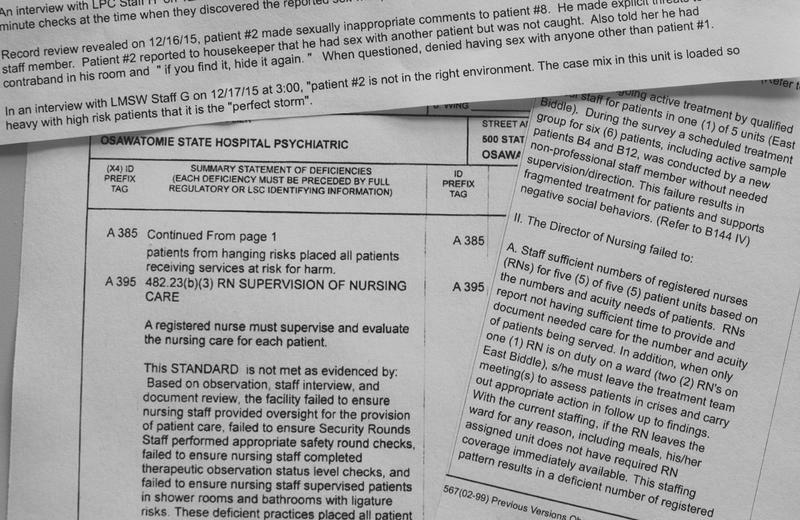 Editor’s note: Heartland Health Monitor partner KHI News Service conducted a months-long investigation into what led federal officials to deem Osawatomie State Hospital as a facility too dangerous for Medicare patients and whether officials can rebuild the hospital for a successful future. This is the fifth and final story of the series. Years of problems at Osawatomie State Hospital reached a crisis point in the fall of 2015, when the sexual assault of a hospital employee by a patient triggered two failed inspections and the loss of federal funding. 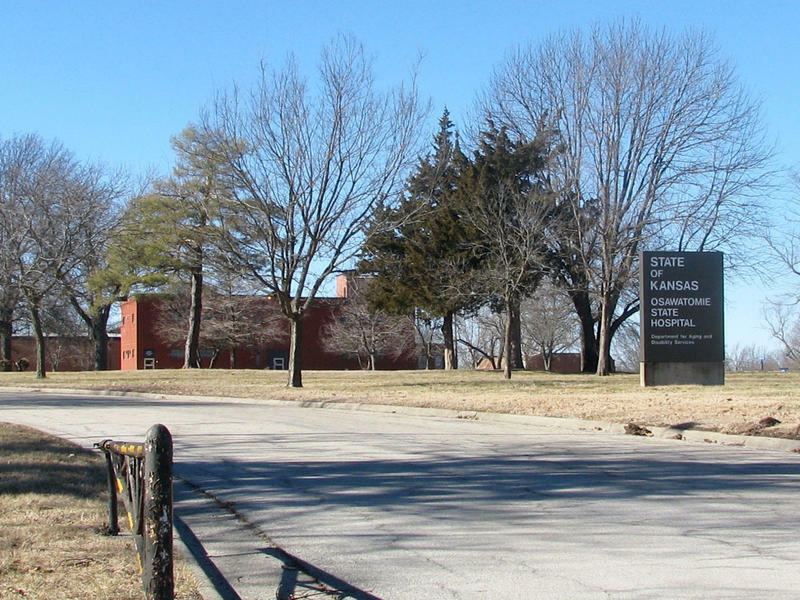 Kansas had relied more on OSH after it reduced the number of state hospital beds in the 1990s. The idea was to put more money into community mental health services, but that hadn’t happened since the early 2000s — and those services actually lost money during the Great Recession. Administrators at Osawatomie State Hospital worked to maintain a delicate balance in 2011 as they struggled to cope with rising demand for care and funding that hadn’t kept up. OSH superintendents had credited the facility’s experienced workforce for pulling it through lean times before, but that key source of stability soon would be diminished.